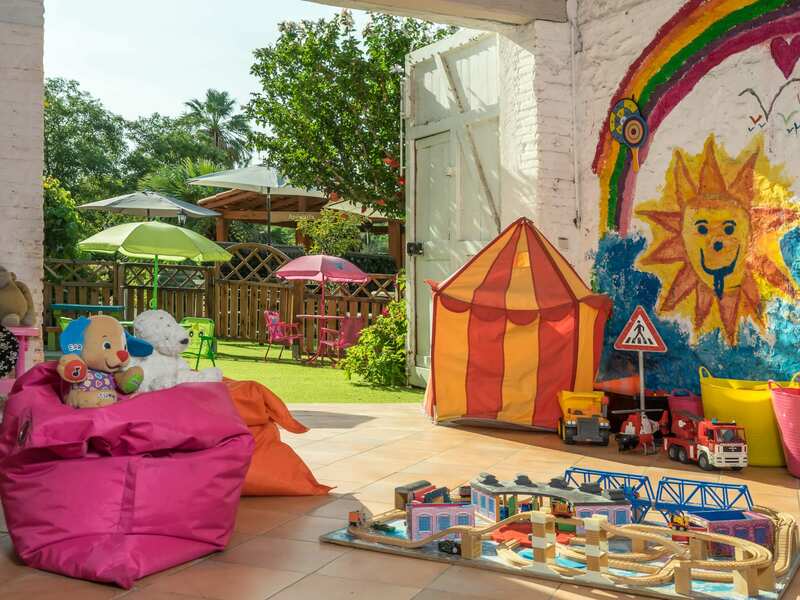 All of us with young kids are searching for this elusive vacation utopia – the best child friendly holiday in France. HI Emma. First of all, how is life in the South of France at the moment? Well I don’t want to brag, but it’s warm and sunny, even on a November morning! We’re very lucky in that we have views of the Pyrenees and the Med. from our terraces here, so the sunrises can be quite spectacular. 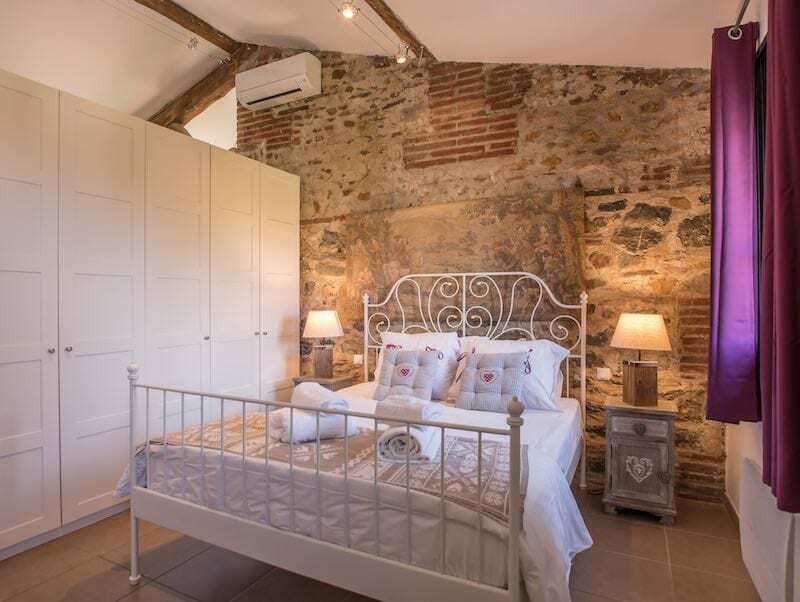 This “Pays Catalan” region of France is perfect for a baby friendly holiday out of season – May and September are great times to come, for example. No crowds, but nice warm weather. 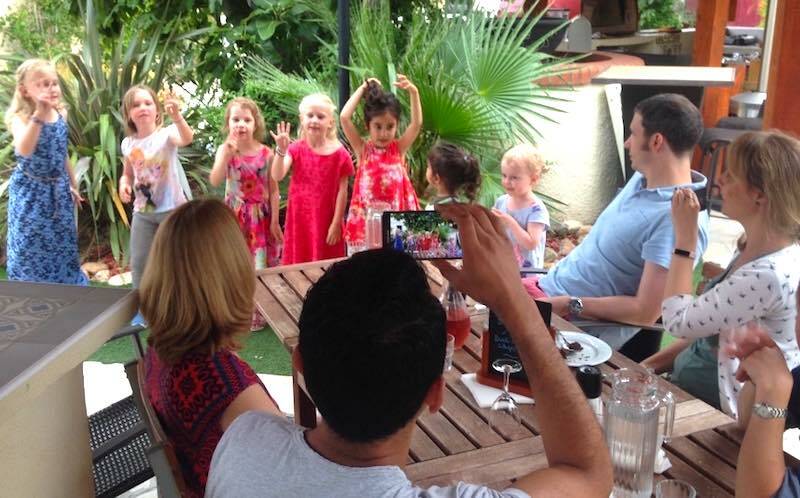 Down to Business – doesn’t every holiday establishment claim to be child friendly? Yes that is true and it is a bit annoying really. It’s the easiest thing in the world to tick lots of boxes in your adverts and claim to be “child friendly”, “baby friendly”, “toddler friendly” and so on. It’s quite another thing to actually satisfy your guests’ requirements when they arrive however! 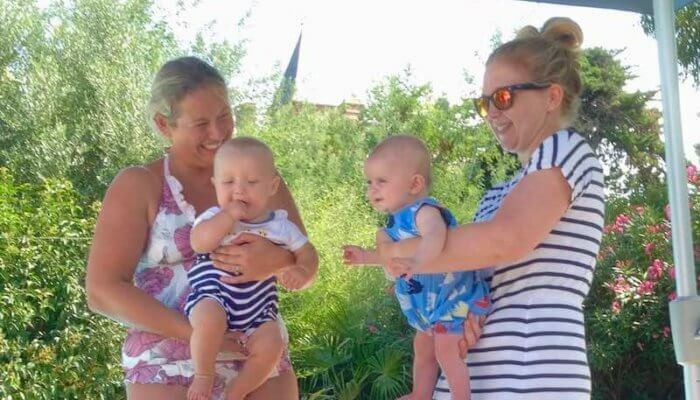 We have real-life families with young children holidaying at Imagine Roussillon, and they expect a great holiday experience. So whereas lots of gite complexes blithely claim to offer child friendly holidays, we go to enormous lengths to make it really happen in practice. What does Child Friendly actually mean then? For us, it’s a combination of safety, equipment and service. Safety has many angles, for example, our complex that is fully fenced and gated the whole way round. The pools and car parks have their own fences and gates too. Each apartment is purpose-built with safety in mind, down to little details like stickers on the patio doors so kids can see the glass. Or the step-free grounds where children can happily run around whilst parents relax in sight with a coffee. In terms of equipment, each apartment has everything you could possibly need. 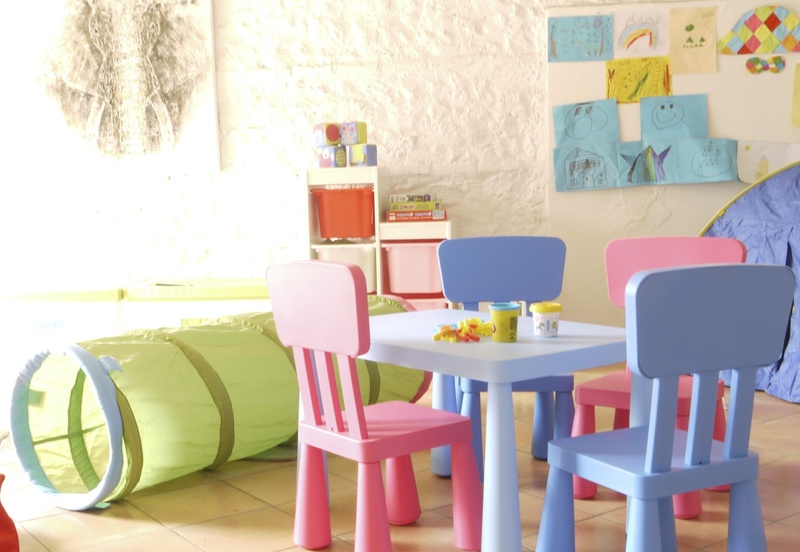 From the basics such as cots, high chairs, blackout blinds, changing mats and baby monitors, to socket protectors, door wedges, bottle warmers, booster seats, bouncy chairs and so on. And each accommodation has a toy box too. Don’t under-estimate the joys of air conditioning either – sweltering heat at night is no fun to an over-excited 4 year old! As we live at Imagine Roussillon too, we’re always around to give help and advice and to sort out any problems that arise. 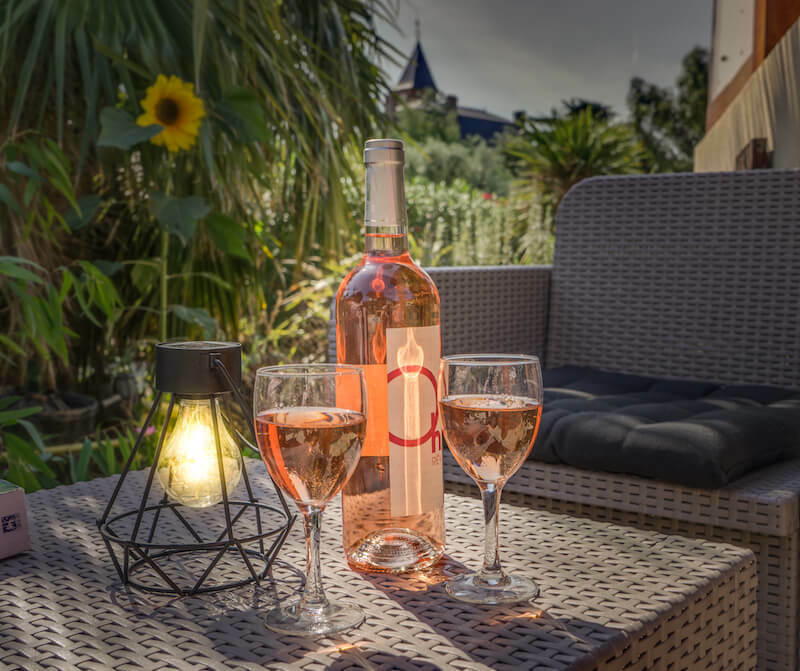 One of the first things we stress to guests on arrival is that they should immediately come to us if they have any difficulties – we’re there to ensure they have a great holiday. So “child friendly” is a combination of lots of little factors, which together give parents the confidence in their holiday choice, and the ability to relax whilst the children have fun around them. Did you research other Places before creating Imagine Roussillon? Ha yes, we had some fun experiences – at least in hindsight! One gite complex we visited didn’t have proper fencing, and our 2 year old constantly tried to escape each day. And the owners clearly didn’t even like children. Not exactly relaxing! This was why we decided to install 2 metre high fencing and an automatic gate with keypad entry at Imagine Roussillon. Another place we found in the country was great for kids, but the prices were absolutely extortionate and they were miles from the beach and shops. Even today, this particular child friendly complex charges twice as much as we do in peak season! 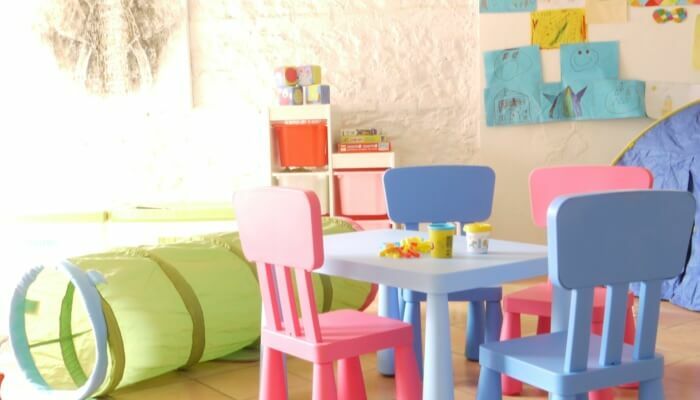 Which just goes to show that you can have a great child friendly complex but feel a bit ripped off too – we try to find a middle ground, where we offer lots of baby and child friendly facilities but at a more reasonable price. 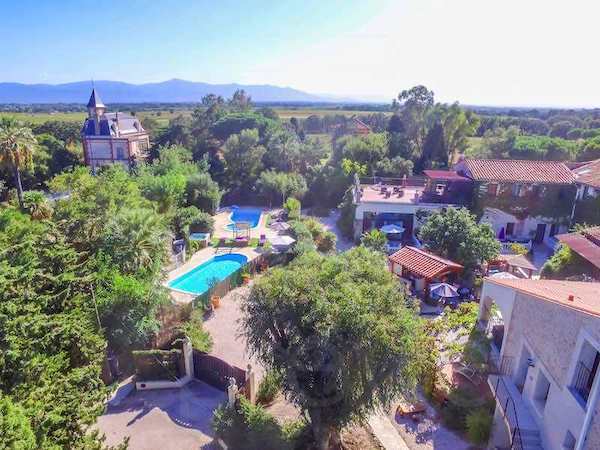 Why do you feel Imagine Roussillon offers the best Child Friendly Holiday in France? It’s all about the mix of what we offer here. 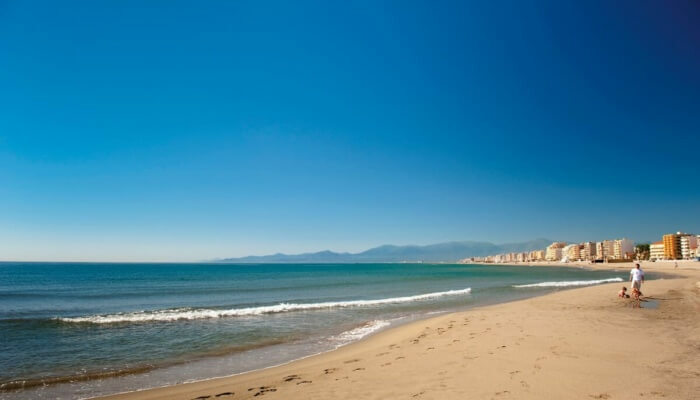 Location – we’re so close to the sandy beaches, Perpignan, even Spain. So many of our competitors have lovely accommodation but they are located in the back of beyond. 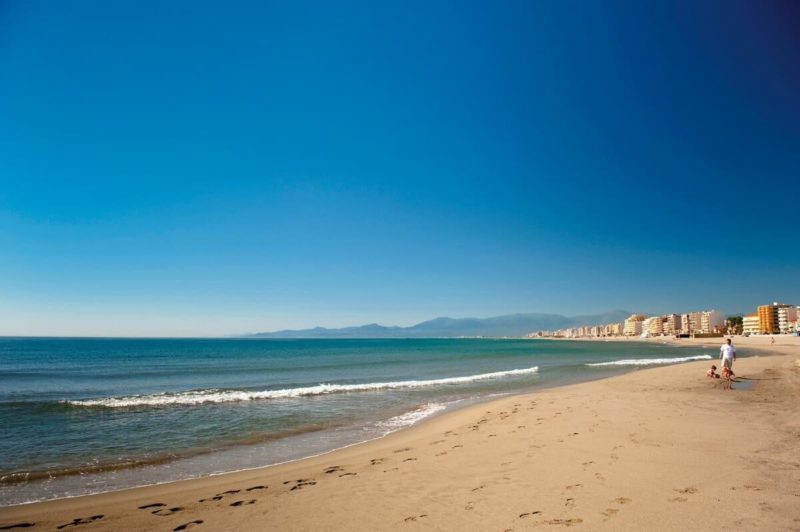 Do you really want a long commute to the beach or shops whilst on holiday? 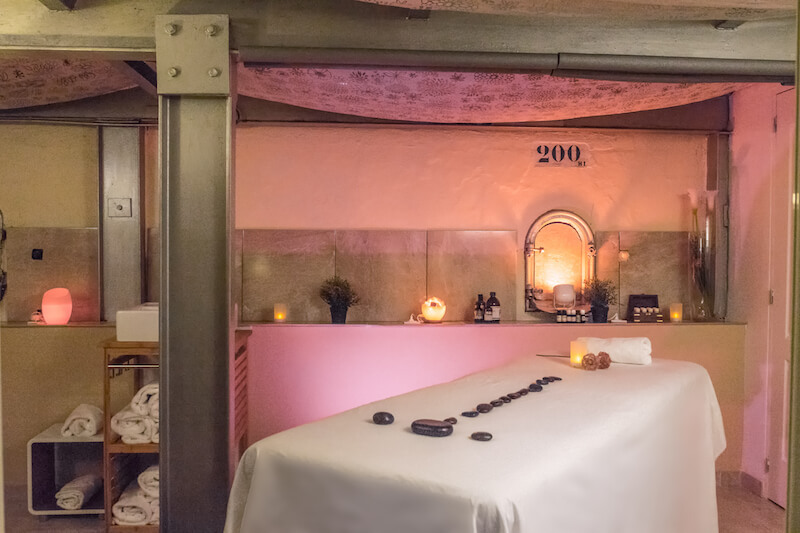 Second, it’s about not disappointing our guests. We consider “super-warm pools” to be very important. 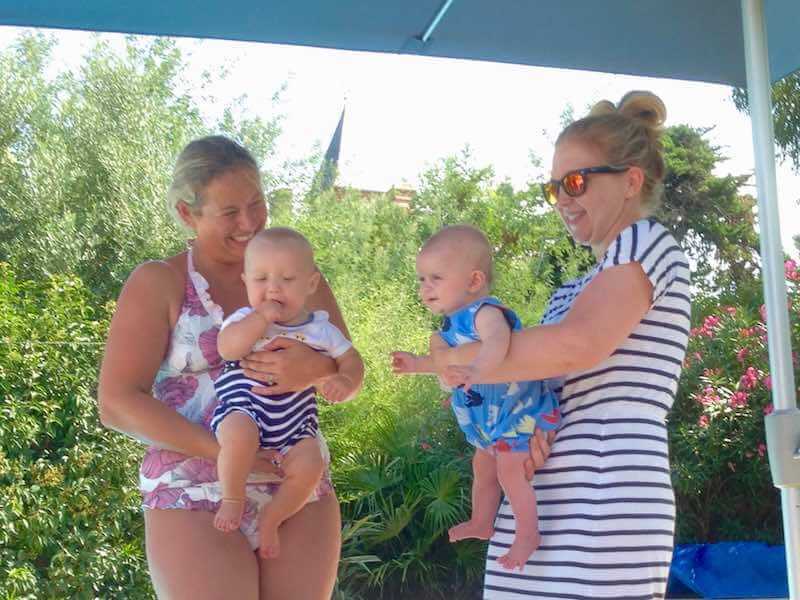 Having taken many holidays with our own kids and dipped our toes in freezing cold swimming pools, we vowed never to put our own guests through the same bad experience. This is why our pools are always heated to at least 28 degrees, even out of season. Third, we’re always there to offer advice, to solve problems and to organise itineraries or book restaurants for you. 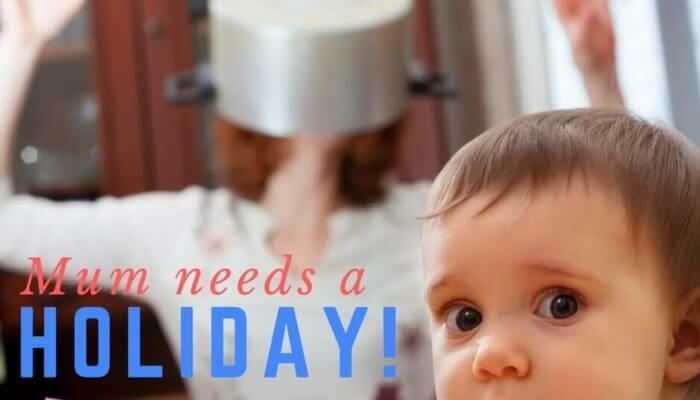 So you actually get a real holiday! Fourth, we are very strong on health and fitness. How many other gite complexes do you know with a purpose-designed gym and fitness studio? 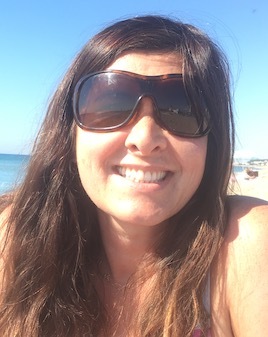 I am highly-qualified in Pilates, massage and personal training, so for those mums wanting to get back in shape after a baby, we’re here to help! Anything New on Offer in 2018? We’ve decided to include even more in our package of services. So in July and August for example, all our ready meals are included, plus all wine and beer at the bar! 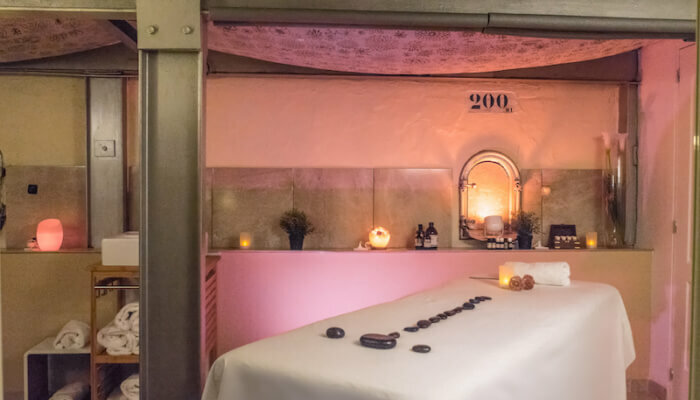 And to top it off, we’re even including one massage per booking too. 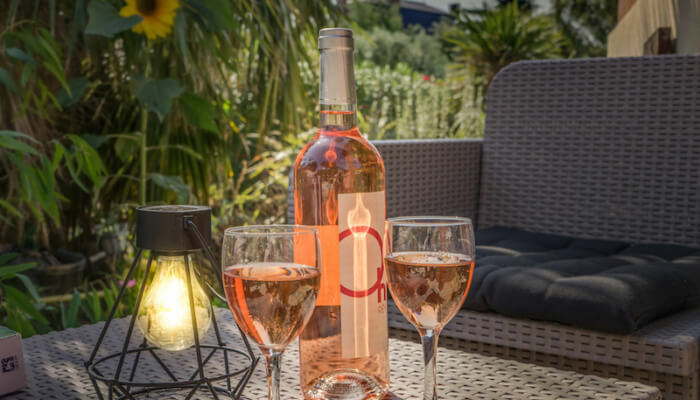 We want our guests to have more of an “all inclusive” experience, rather than having to shell out more money whilst on holiday. 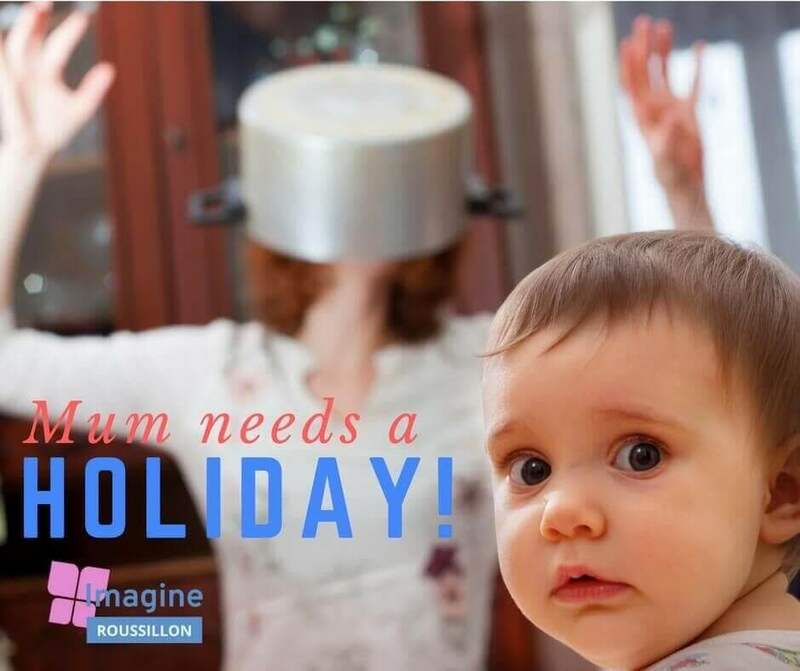 Please do get in touch if you would like more information on what makes Imagine Roussillon such a great choice for families with babies and young children.